These cheesecake cookie cups have a sugar cookie crust and a delicious white chocolate cream cheese filling. 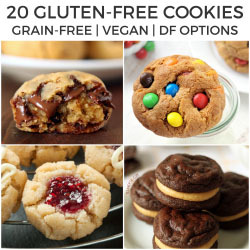 Can be made with gluten-free, whole wheat or all-purpose flour. Here’s something fun for Easter! Like I’ve said in pretty much every recipe of mine that contains a crust, I’m all about cookie crusts. If it’s not sweet, I don’t see the point of it. 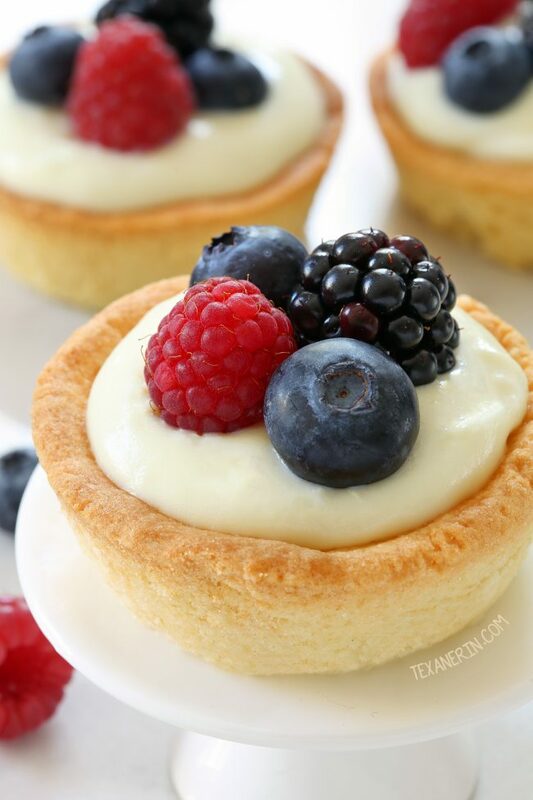 So these cheesecake cups consist of a nice, thick, soft and chewy sugar cookie crust. They’re delicious enough to eat on their own! And on top, you’ve got a magical combination of cream cheese, white chocolate and Greek yogurt. Whenever I make this kind of filling, I normally eat half of it before it even makes it to the cooled crusts. SO good! When you first mix it together, it’ll be a bit runny but a little chilling firms it up enough that you can pipe it. I like to keep things simple and just dolloped it in the cookie cups. The lemon zest and extract add just the right amount of zing to the crusts but can be omitted if you’re not big on lemon. I’ve also made these cheesecake cookie cups with almond extract and they were just as delicious. I can’t wait to try an almond and cherry (or peach, apricot, or basically any stone fruit) version! I first paired cherries with almond extract in these gluten-free mini cherry pies and since then, I’ve added almond extract to almost all my stone fruit desserts. I’ve made cookie cups in the past that had a regular no-bake cheesecake filling and the crusts became a bit soggy on the next day. That’s not a problem with this recipe! The cookie cups are a bit softer on the second and third days, but they’re definitely not soggy. If you’d like to make these in advance, I recommend making the crusts and filling a day or two beforehand and assembling them on the day of serving. If they’re going to be sitting outside for several hours, I recommend refrigerating the assembled cookie cups for a few hours first. I wish you luck in not sneaking too many while they chill! Preheat the oven to 350 degrees F (175 degrees C). Spray a 12-cup muffin pan with baking spray or grease with butter. In a medium mixing bowl, stir together the flour, salt and baking soda. Set aside. In a large mixing bowl using a stand mixer or electric hand mixer, beat the butter and sugar at medium speed until well combined. Beat in the lemon zest, lemon extract and egg and beat until incorporated. Gradually add in the flour mixture on low speed. Beat just until combined. Form the dough into 1 1/2" balls and press over the bottom and 4/5 of the way up the sides of each cup. Bake the all-purpose version for 11-13 minutes and the gluten-free version for 14-16 minutes or until lightly browned. The crust may puff up quite a bit while baking. After removing the pan from the oven, use a shot glass to press the crusts down a bit to make more of an indentation for the filling. Let the cookie cups cool for 10 minutes in the pan and then use a knife to help dislodge them from the pan. The bottoms of the cookie cups will be very soft but will harden as they cool. Let the cookie cups cool completely before filling. To prepare the filling, beat the cream cheese at medium speed until fluffy. Beat in the melted white chocolate and once well combined, stir in the Greek yogurt. The mixture will be quite thin. Refrigerate for about 30-60 minutes or until firm. Spoon 2 tablespoons of filling into each cup. 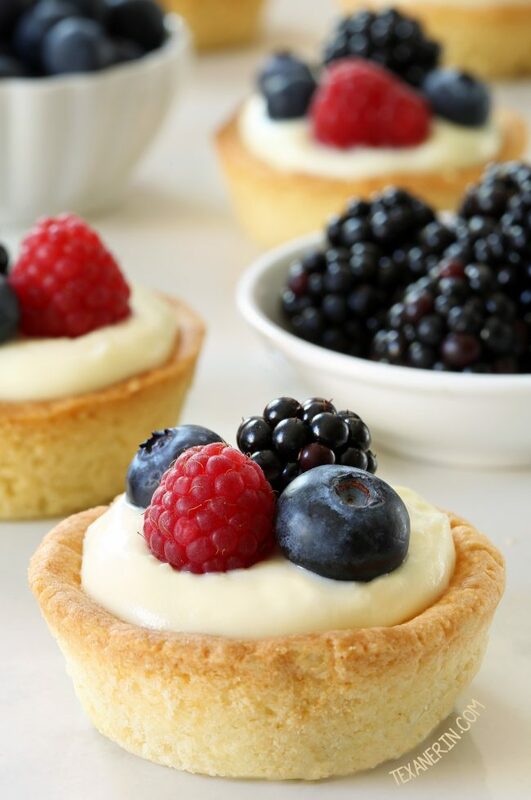 Decorate with berries and serve or refrigerate first for 2 hours for a firmer filling. 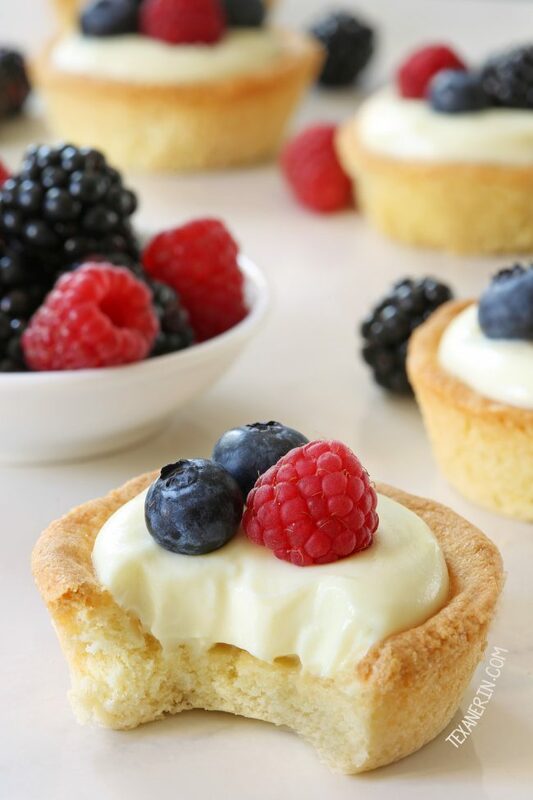 If making these in advance, add the berries the day of serving. The crusts get a bit softer after a day in the refrigerator, but not at all soggy. Refrigerate in an airtight container. 16 comments on “Cheesecake Cookie Cups (gluten-free, whole wheat, all-purpose flour options)” — Add one! can i substitute the flour for coconut flour instead? Coconut flour is unfortunately not interchangeable with any other flour as it absorbs so much more liquid. Sorry about that! are these kosher for Pesach? I’m sorry but I have no idea about kosher rules. I wouldn’t feel comfortable saying it is or isn’t! I can just imagine making these all summer long with every different kind of fruit! Love that you show all the different options for this fun dessert! 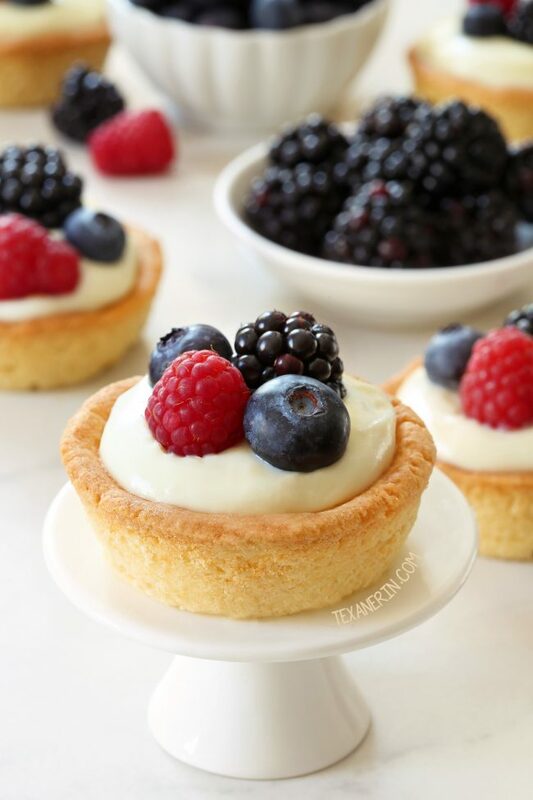 Those sound soooo yummy and they look so elegant with the berries on top, love it! These are so cute!! I am sure the ones that can eat dairy would love these. I am a strawberry and a peach fan myself. Anything would work with these for sure. Can you not eat dairy now?! Nice! I am such a big fan of individual portion desserts! Have you made these with white whole wheat? If so, could you give me the weight? Thanks! I have! It’s in the recipe. :) But I totally forgot to add the weight. Thanks for pointing that out! It’s 188 grams. Hope you’ll enjoy them!